We wanted to bring some love to the world. I thought we were good at doing that. Bringin' love to the world. 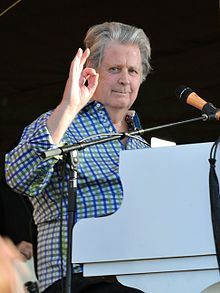 Brian Douglas Wilson (born 20 June 1942) is an American musician most famous as the chief songwriter of The Beach Boys. Besides acting as their co-lead vocalist, he also functioned as the band's main producer and arranger. Humor — it helps to make the vibe better — it loosens up the vibrations. My mother used to tell me about vibrations. I didn't really understand too much of what that meant when I was just a boy. It scared me, the word "vibrations." To think that invisible feelings, invisible vibrations existed, scared me to death. But she told about dogs that would bark at people and then not bark at others, that a dog would pick up vibrations from these people that you can't see, but you can feel. And the same existed with people. Being single is like liking a Phil Spector record. I wanted to write joyful music that made other people feel good. That’s what I tried to do for the past 27 years. Being called a musical genius was a cross to bear. Genius is a big word. But if you have to live up to something, you might as well live up to that. A voice or a song can be so comforting to someone who really needs it. I think because I felt so sad I had to bring out my feelings, and try to create music that would make me and all my friends feel better. I met Paul in 1967, Ringo in 1985, and I saw George Harrison in a nightclub somewhere in L. A. I never met John. You're gonna do it right. It's the rhythm in our soul. I have an instinct for music, or a feeling about it, and I'll have my feelings guide my hands. I went through a lot of changes in the years from when I first started out. I would have the musicians keep playing over and over again till the sound made sense. I worked overtime on that; I worked hours to get it right. If the sound didn't make any sense, then I wouldn't know what to do — I'd be lost! It's instinct that tells me. I have an instinct for music, or a feeling about it, and I'll have my feelings guide my hands. It was very competitive in the '60s. And everybody caught the bug, y'know? It was like a “competitive bug.” And, as far as I could see, everybody was turning everybody on. … The Beatles were a part of that whole “competition” thing. Rubber Soul blew my mind. It really made me wanna record; it made me wanna cut. It sounds like a collection of songs that belong together, and it was an uplifting feeling. So I thought I'd make a collection of songs — called Pet Sounds — together. That's how I got that idea. … I'm proud of it. I think it's a very everlasting album. I'm very proud of the love that went into it. A lot of love went into that album. And people pick up on that too, and they really like it 'cause they feel the love. Dennis surfed. 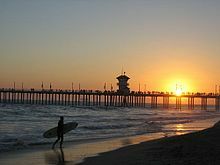 I couldn't surf. I never learned how. I'm doing good. I've had a slight nervous breakdown in the '60s. I got through that. And I got through the '70s. And I was in a doctor's program during the '80s and then I met Melinda and we've been together ever since. I've got a happy life. Did I suffer from depression? Yes, a little, from time to time. Yes. … I'm not as depressed as I was. I get depressed now and then but not very much anymore. … At the height of it it was just God-awful. It was really bad. It started out — my mom and dad took a little vacation to Mexico and they left $250 for food. But instead of food we went and bought some instruments. We got a bass, guitar and a set of drums. … I was 19. Dennis was 15. Carl was 17. Mike was 18. Al was 19. And so we wrote a song called "Surfin'" in my living room. We were all playing and singing and Mike and I wrote a song called "Surfin'" and that's how it all started. The sound was essentially background sound, myself, and Carl, Dennis and Al Jardine, Mike was our lead singer. The four of us put our voices together. We had done it really beautifully. We had a beautiful blend. We really did. My cousin came over to my house one day just to fool around and we said — he said, some day we should start a rock n' roll group. We could all get together. And I said, I know I guy named Al Jardine who plays bass and could probably sing good. You know. So we went from there. I was very, very surprised. I never thought I would be that loved or respected. Now and then I'll be a little brief with some of my band members. I won't talk or I'll refrain from talking to my band while we're rehearsing. But basically I am friendly with people. … I'll go on cold streaks. I'll work with a collaborator then I'll stop calling the collaborator for a couple weeks. I'll say I need a break from you for a couple weeks. But they're "OK, fine, fine, I'll see you in two weeks." I talked to Paul McCartney over the years ranging from 1967 to 2004. … At the landmine show he did "God Only Knows" with me and I did "Let It Be" with him. And then I called him about four months ago asking him if he could come out and do — sing a song called "A Friend Like You," which I wrote for him, me and my collaborator wrote for him. And he said he'd love to come out. And he came to the studio and that was one of the bigger thrills of my life to tell you the truth, to produce Paul McCartney. And that was a thrill for me. That was a thrill. Spirituality amounts to love with me. I consider it the same as love. And my band members are full of love. When people hear music that is spiritual it gets through. Music that is Godlike and loving gets through. I don’t have any power in this world, but I have spiritual power. I think God gave me my music and my talent. I’m trying to get across a feeling of spirituality; I think I have a spiritual influence on people. I think about God, yes, and I wonder if there is a God. And if there is a God, will God please help me through my hard trips. Brian didn't really write lyrics to the songs; he edited them. That means he might have simply said that he didn't like a particular line. I would then have tried to convince him of its merit, if I felt strongly about it, or I would have written an alternate in an attempt to get closer to what he seemed to be after. None of this is to say that he didn't supply words to some of the songs. He did. But his role was more to react to what I did after I did it, rather than to direct it before it occurred or even as it was occurring. It's fair to say that the general tenor of the lyrics was always his and the actual choice of words was usually mine. I was really just the interpreter. Poetic, beautiful even in its obscurity, 'Surf's Up' is one aspect of new things happening in pop music today. As such, it is a symbol of the change many of these young musicians see in our future. Leonard Bernstein, as quoted Brian Wilson official site Weinraub, Bernard (September 12, 2004). "Rebuilding Brian Wilson's 'Smile". The New York Times. Retrieved on April 17, 2012. I listened to a lot of different bass players - mostly Motown records. They were great and the bass player, who I found out later was James Jamerson, was an influence. So smooth, melodic, and solid. I really liked Marvin Gaye records. And, of course, I’ve always liked Brian Wilson all the way through The Beach Boys. But Pet Sounds blew me away. It’s still one of my favourite albums. When I first heard it, I thought, Wow, this is the greatest record of all time! Brian took the bass into very unusual places. The band would play in C, and Brian would stay in G. That kind of thing. It gave me great ideas. That musical invention of Brian Wilson was eye-opening, I mean, ear-opening. It was Pet Sounds that blew me out of the water. I love the album so much. I’ve just bought my kids each a copy of it for their education in life … I figure no one is educated musically ’til they’ve heard that album … I love the orchestra, the arrangements … it may be going overboard to say it’s the classic of the century … but to me, it certainly is a total, classic record that is unbeatable in many ways … I’ve often played Pet Sounds and cried. Paul McCartney, Tour. DVD 2003. Brian Wilson on Tour. DVD. Directed by John Anderson. Sanctuary. 2003. He's a modern day Stravinsky, the way he constructs his music, he's a madman.... He was doing stuff [40 years ago] that modern people do now, looping his work and stuff. There's a track on Smile with a whole bunch of tubas having a conversation with trumpets. It's great. Questlove, The Roots Chili Peppers, Backstreet Salute Beach Boys' Brian Wilson - Music, Celebrity, A. MTV (February 12, 2005). Retrieved on March 23, 2012. Un-official fan site: "Cabinessence: web page for Brian Wilson"
This page was last edited on 16 February 2019, at 19:10.